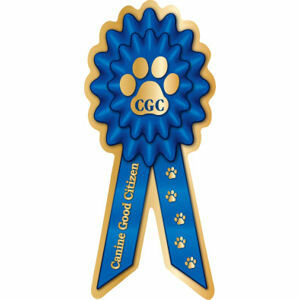 We here at CTC are AKC CGC Evaluators. We are able to test you for STAR puppy, CGC, and Trick dog certification. 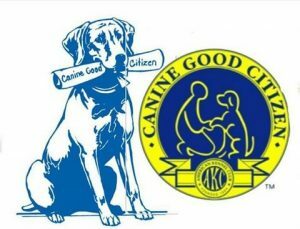 Canine good citizen training is a great way to show that your dog has basic manners and training. This test is beginning to be so commonplace that many apartments, condos, and even insurance companies are requiring this certification to allow the dogs to live on property and be covered under their policies. These 10 categories present challenges for themselves. As a puppy, the goal will be to raise them up with these expectations and teach them their limits and boundaries while listening and responding appropriately to you, the owner. With an older puppy, however, you face the challenge of changing already ingrained behaviors to be able to change the way your puppy may be used to operating. To relinquish control and understand that he may not be the alpha dog. This is where I come in. I can come in and give you the tools, tricks, and knowledge to help you guide your dog through the necessary steps to be able to pass these tests with flying colors. While we all work together, we can get your dog earning that coveted blue ribbon and the CGC title behind his name! I am a licensed AKC Evaluator and can help you get through your AKC CGC, Star Puppy, or trick dog certification!